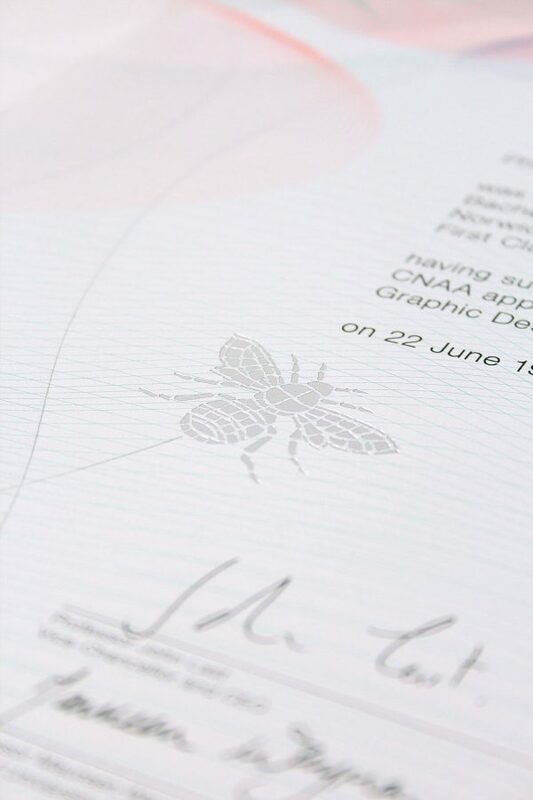 Read an interview with alumni Philip Carter (BA (Hons) Graphic Design) about the redesign of the NUA Degree Certificate. Talk us through your initial brief and how you approached it? 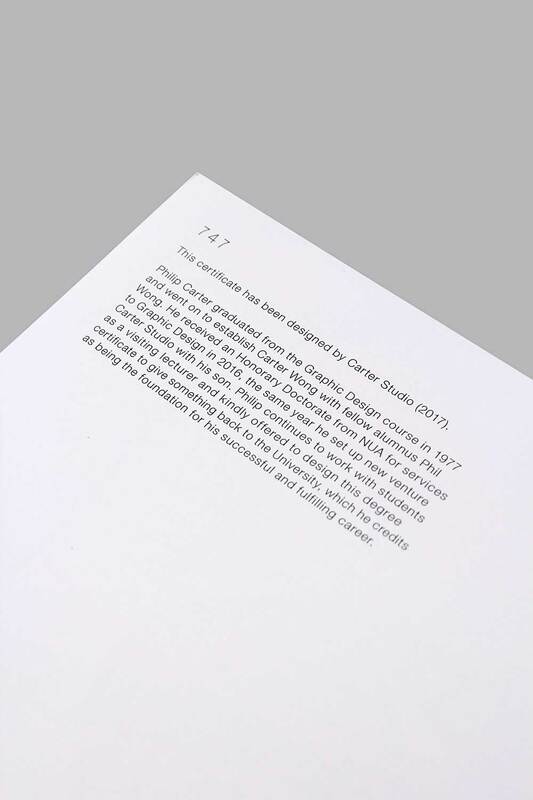 The brief invited us to create a new certificate for the University that better represented its reputation as one of the most creative institutions in the country and beyond. The certificate needed to have a real tangible quality and value; one to be truly proud of and certainly one with presence when hung on a wall. Our original task required the introduction of security elements integrated into our design as degree certificates are commonly open to forgery. 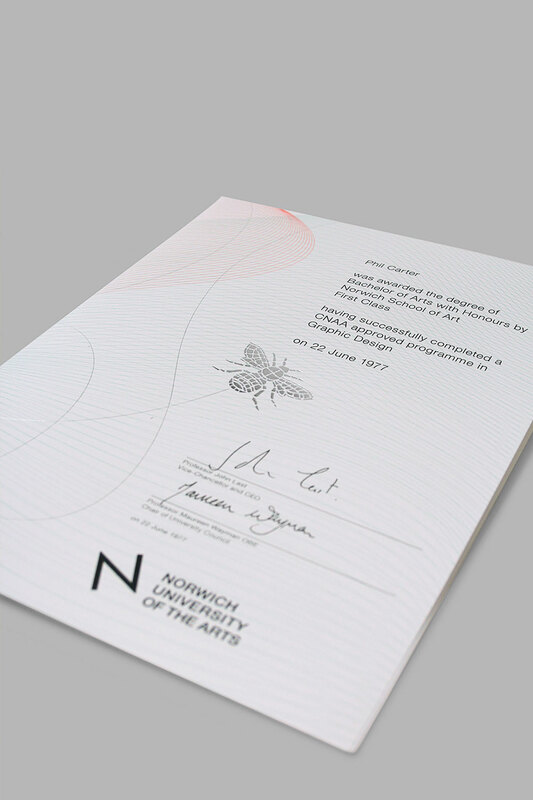 For inspiration we avoided taking a lead from other degree certificates as we discovered that they do tend to follow a set formula: A4 format, a representation of the university crest or logo and a specific area for the recipient’s name and qualification. Instead, we approached the project well aware that this needed to reflect an arts-based university, one that values free creative thinking and (with it), a non-conformist approach. Our inspiration came therefore from challenging the norm and looking at other graphic media that is displayed on walls, namely posters. Why did you settle on this particular design? Once we had approached the subject with an open mind, free of preconceptions we consequently considered every single aspect, including the final printed size, to attempt to break the A4 mould. However, we remained conscious that most degree certificates end up in an A4 frame. As a result, we worked with an A2 poster format, one that could be proudly displayed as is or, when folded down to A4, in a more conventional frame. The certificate was therefore designed to accommodate all the copy onto the bottom right quarter for display, be it full size or A4. In developing our ideas for the certificate, we also considered that if we were to create a solution with the power and presence of a poster then why not create a fitting headline too? 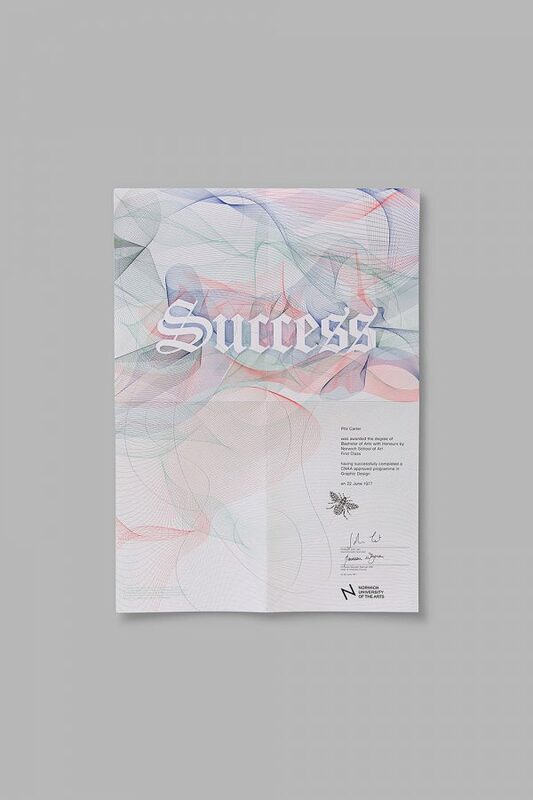 Given that all the graduating students receiving certificates would have completed the course, we opted for a single word that would sum up their journey in a celebratory manner, hence the headline ‘Success’. "We approached the project well aware that this needed to reflect an arts-based university, one that values free creative thinking and (with it), a non-conformist approach. Our inspiration came therefore from challenging the norm and looking at other graphic media that is displayed on walls, namely posters." How would you describe its key features and attributes – and how do they vary from conventional certificates? 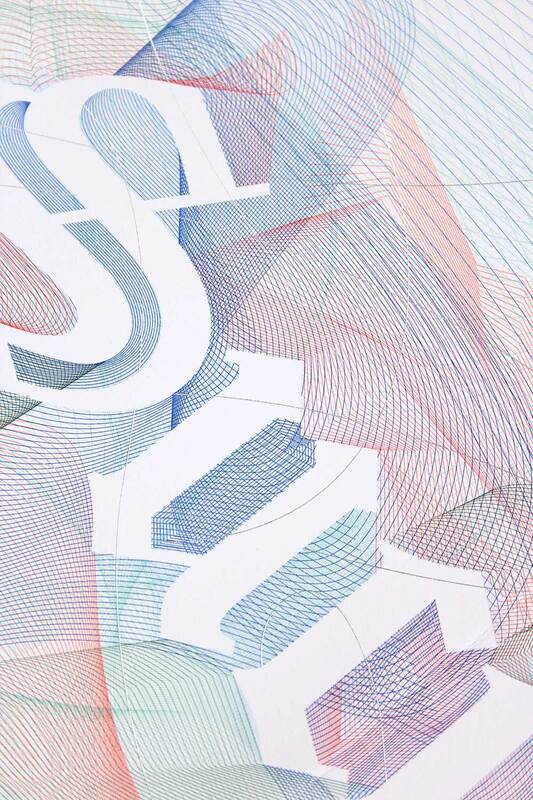 Its key feature is obviously its format, but we also wanted to imbue the print with a quality and finesse normally found in banknotes and printed matter of high value. 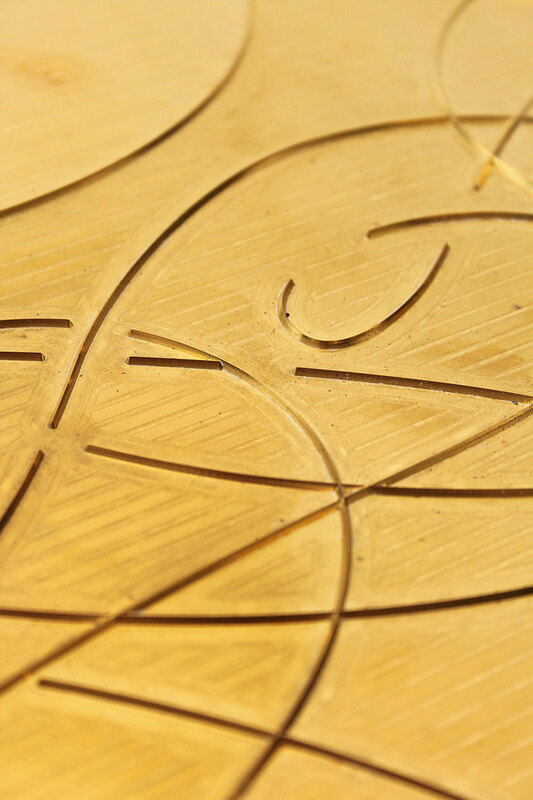 We therefore created a guilloche (a series of very fine engraved lines that together make a very precise and unique pattern) as an overall aesthetic, constructed and emanating from the word Success. Aware of our need to build in that element of security, we chose not to use a customary 10mm square ubiquitous hologram but instead, to foil one of the guilloche lines to integrate it into our design. 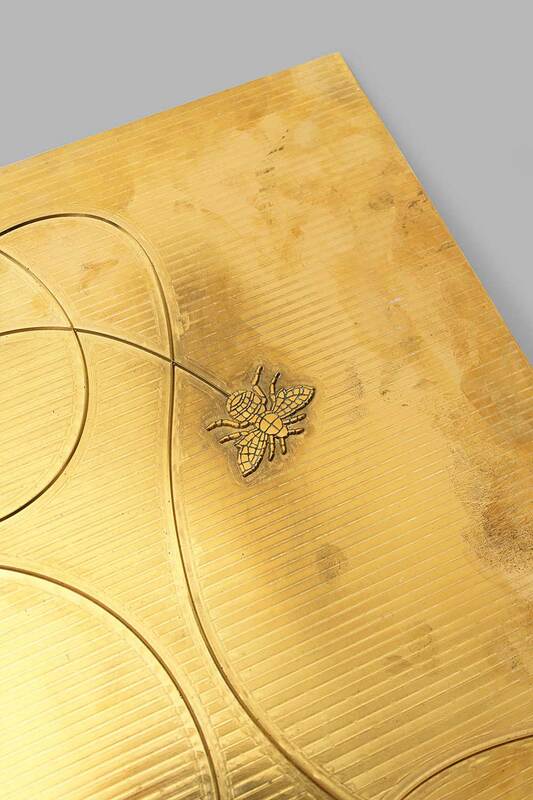 Our research unearthed twenty bees contained within the floor mosaic in the St George’s Street entrance foyer and its history dating back to when that college building opened over 100 years ago. We liked the idea that during those hundred years this mosaic had been traversed by thousands of students. For us, a solitary bee and its journey line executed in foil, perfectly symbolised an individual student’s work ethic and achievement at the end of the course. This in itself was a creative challenge as the printer had never before made a foil plate larger than A3. However, in creating something that broke with convention, it was these challenges that made the exercise so rewarding. Overall, although we stretched the brief, we like the idea that the certificate can still be displayed in an A4 frame should the recipient wish. Can you explain your thinking around the signs of authenticity that are part of your design? I think I’ve covered these above! Put simply, we didn’t think we should be led by what the original security printers could produce and their restrictions. Rather, we wanted to design a bespoke quality certificate that we could then build security into, hence the foil bee and multi-layered guilloche. Can you see a future where degree certificates are digital rather than paper? I’m sure there could be many opportunities to produce a degree certificate digitally in the future and though not counting them out I’m not sure how one would invest them with that same sense of individuality, quality and ultimately, ownership. Being able to order past degree certificates from universities, the ultimate thrill was to have my personal version of our design posted to me a few weeks ago from NUA. I’d like to think that all those graduating students in the coming years will experience that same sense of anticipation and excitement on opening the envelope as I did. "The unique atmosphere and warm camaraderie here means that visiting NUA is not unlike coming home."